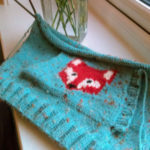 It’s extremely useful to be able to make your own curtains. Ready-mades only come in a limited number of sizes, so they don’t always fit very well. Then you may want a specific colour or pattern to match your other decor. Custom-made curtains are extremely expensive but they are actually quite easy to make yourself. You’ll be able to coordinate your soft furnishings in future at a fraction of the price of having them made. Once you can make your own, you’ll be able to alter ready-made curtains too. Curtain-making is also immensely satisfying but you do need to take accurate measurements and understand how to match patterns. 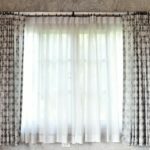 This workshop will teach you everything you need to know to make your own curtains. Do you enjoy dressmaking but aren’t happy with the finish? Do you have bumps at the bottom of your zips. Or do your facings just refuse to lie flat? Would you like to improve your dressmaking but don’t have the time to commit to a course? 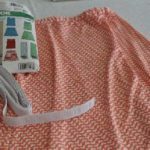 In this class, I’ll share a few techniques you can use to improve the look of your dressmaking. Instead of wrestling with making a whole garment, we’ll concentrate on learning some foundation dressmaking techniques by making samples of each technique. There are yours to take home for future reference.